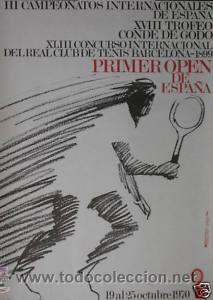 PRIMER OPEN DE ESPAÑA.1970.BAS.50 X 70 CM. Offset. B+. Hora oficial TC: 04:26:53 TR: 115 ms.